Lucinda Leugers, Ph.D. is a 2018 graduate of the PHD Program in Leadership and Change at Antioch University. Dr. Leugers at her Dissertation Defense. L-R: Dr. Jon Wergin, Committee Member, Dr. Pamela Greene, Committee Member, Dr. Carol Baron, Committee Chair. The purpose of this research study was to examine the effects of K–12 early career teacher participation in a mentoring or induction program as well as personal resiliency on intention to teach next year and still be teaching in five years. Teacher retention has been an issue for over 50 years and is one of the least understood issues in the education profession. High teacher turnover rates are costly to districts and impact student learning. 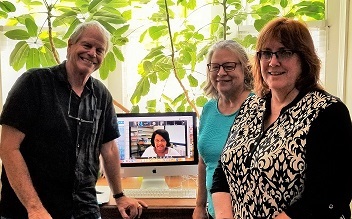 Teacher resilience is an emerging field and researchers are beginning to study teacher resilience to understand what enables some teachers to carry on in the face of instructional and behavioral challenges and why others succumb to the effects of stress, attrition and burnout and leave the profession. Wagnild’s (2009) RS14™ resilience scale was used to determine the resiliency levels for early career teachers measuring skills in self-reliance, purpose, equanimity, perseverance, and authenticity. The general purpose for mentoring and induction programs for early career teachers is to improve the overall quality of their instructional and assessment skills in order to impact student learning. This study looked at the influence of personal resiliency and experience in mentoring or induction programs on intention to remain in the K–12 teaching profession. Multiple regression results showed a significant relationship between resiliency, a positive assessment of mentoring program experience, and intention to continue teaching next year and in five years; family situations and personal health also influenced intention to teach in the next year. Results also show a high percentage of these early career teacher respondents did participate in a mentoring or induction program and that those participating in a two year or multi-year program were more likely to have a positive assessment of their experience than those in a one year or less program. Lucinda Leugers has been a member of the education community for nearly thirty years, working with young learners and those who want to teach in early childhood classrooms. She has worked with Head Start, taught in K-12, and was a consultant in an early childhood mental health program. Lucinda taught a variety of courses in a teacher preparation program at a small liberal arts university in Ohio for fourteen years, kindling her desire to understand what teachers need in order to remain in their profession. She holds a B.S. in Elementary Education from Xavier University, an M.A. in Education from Northern Kentucky University and a PhD in Leadership and Change from Antioch University. 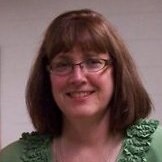 Lucinda is currently Associate Dean of Instruction at Mohave Community College in Kingman, AZ. Leugers, Lucinda Lett, "The Effects of Mentoring and Induction Programs and Personal Resiliency on the Retention of Early Career Teachers" (2018). Dissertations & Theses. 455.